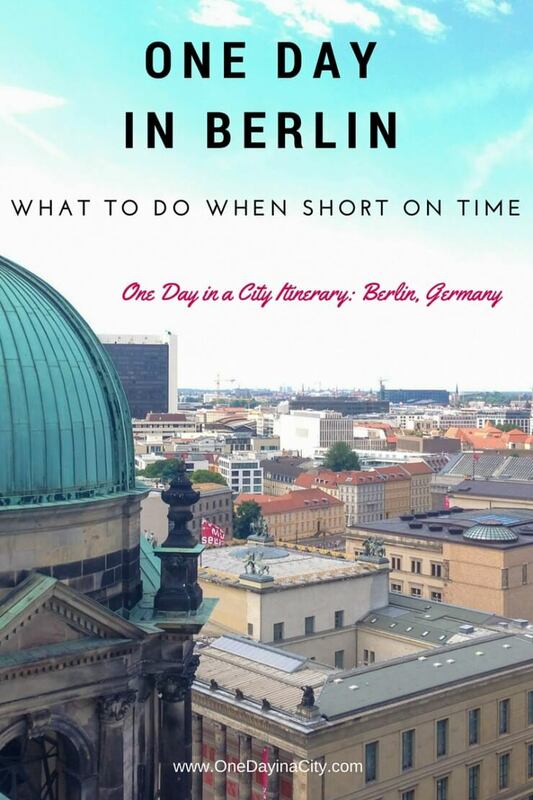 Tips on what to do and see when short on time in Berlin. Visiting Berlin, Germany is an interesting experience as the city has become a cultural and intellectual hub in Europe. 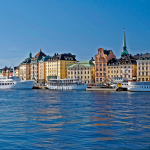 It’s a city that pulses a vibe of looking forward despite a tumultuous, often painful past. Today in Berlin, universities, a thriving economy, and a surplus of museums and memorials make the city a hot spot for visitors who want to soak up history and learn from the past, but also enjoy a modern metropolis. With so much going on in the city, it’s easy to feel overwhelmed about what to do in Berlin if short on time. 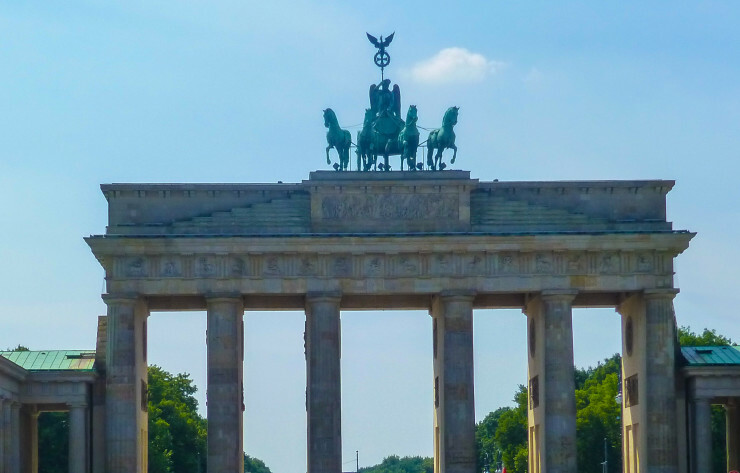 The One Day in Berlin itinerary below highlights top sites to see (and why) and will help you plan out your time in Berlin. 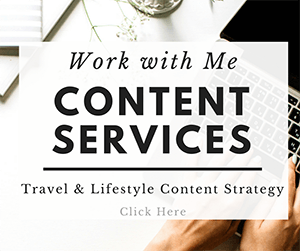 This post contains affiliate links, which means I get paid a percentage of any purchases made through those links at no extra cost to you, which helps me cover the costs of running this site so I can bring you more great travel content! I only link to products I use and like. Thanks for supporting One Day in a City! For the optimal itinerary to experience a wide range of Berlin in a short amount of time – and especially for those who are visiting Berlin for the first time, here is a recommended itinerary for how to spend your day in Berlin. Get my free Berlin Transportation Cheat Sheet sent to you now by entering your email below. This helpful 2-page document tells you the best ways to get to and around Berlin. Success! BUT there's ONE MORE QUICK STEP to get your Berlin Transportation Cheat Sheet -- Check your email and confirm your subscription (if you don't see the email, check your junk folder) and then you'll get an email with a link to the document. 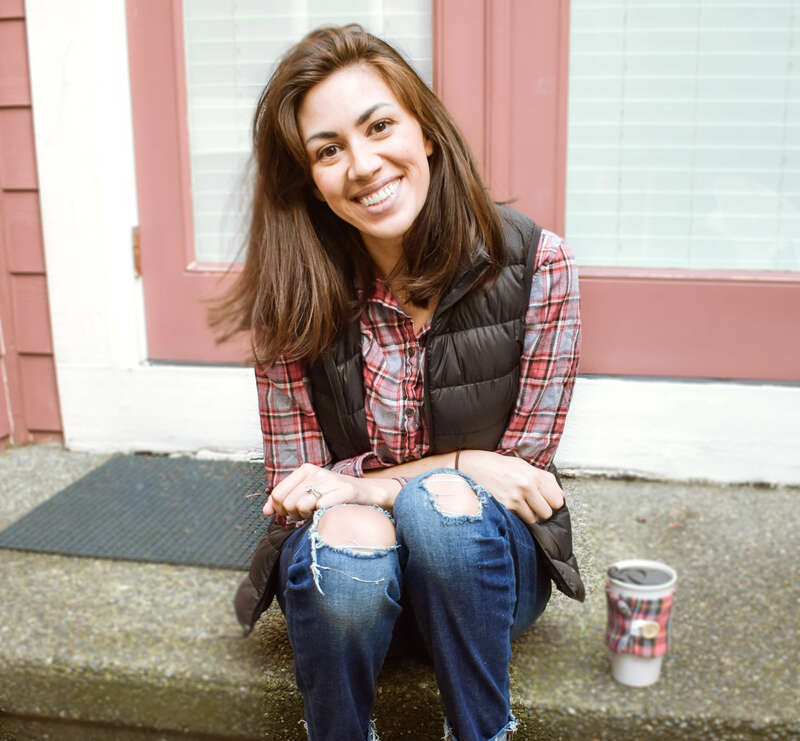 You'll also be subscribed to One Day in a City's newsletter which has helpful travel tips, news, and giveaways, but you can unsubscribe at any time you'd like. I look forward to having you part of the One Day in a City community! Brandenburg Gate (Brandenburg Tor in German) gives you a monumentally visual introduction to Berlin’s history of strife. Originally built as a sign of peace in the 1700s, Brandenburg Gate eventually came to signify the division of East Berlin and West Berlin divide. Why It’s a Must-See: Walking through the Brandenburg Gate is a powerful experience when you remind yourself you’r doing so freely, as it was just a few decades ago that such an action couldn’t take place. Memorial to the Murdered Jews of Europe – The Memorial to the Murdered Jews of Europe has 2,711 stelae of varying heights and covers 19,000 square meters, referred to as the Field of Stelae. It also has an information center, which shares the history and horrors of the Holocaust with visitors through interactive and informational exhibits. 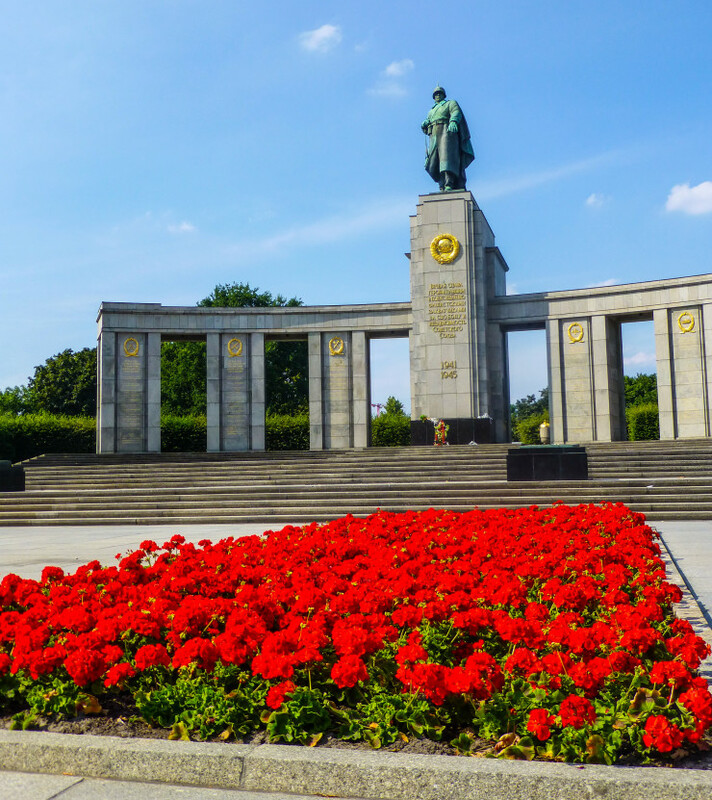 Soviet War Memorial – This grand statue- and flower-adorned memorial was built in 1945 and is the burial place of more than 2,000 Soviet soldiers who were killed in battle during the Battle of Berlin during World War II. Golden Victory Column (Siegessäule) – This gorgeous column, which can be climbed for excellent views of the garden, is located in the center of Tiergarten and commemorates Prussia’s victory over France and Austria in the 1860s and the founding of the German Empire in 1871. The Victory Column gets its name thanks to the goddess Victoria, who stands atop the column. Bellevue Palace – Just outside the north end of the park is Bellevue Palace (Schloss Bellevue), the Residence of Germany’s president. It’s a beautiful neo-Classical building originally built for Prince Ferdinand of Prussia in 1786. Though it can’t be toured, both architecture and government enthusiasts will enjoy seeing the exterior of the Bellevue Palace during a walk through Tiergarten. 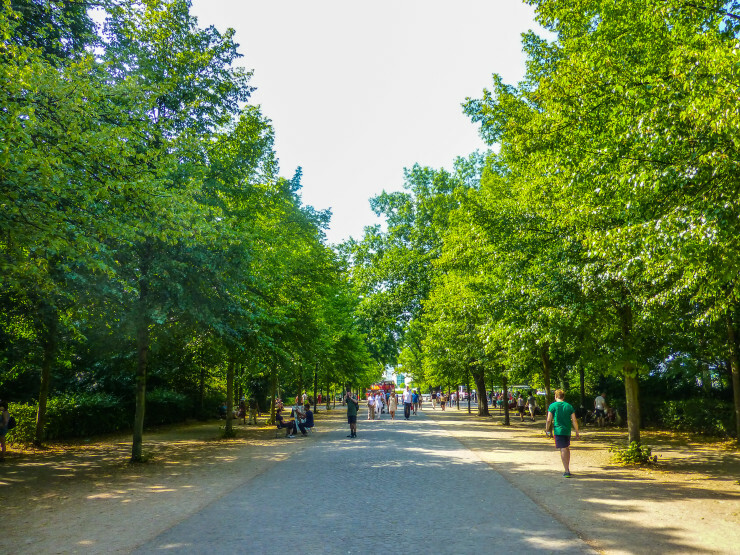 Why It’s a Must-See: Tiergarten shows you a slower, calmer side of Berlin compared to its bustling city life. View of the Berlin Wall remains from the tower of the Documentation Center. The Berlin Wall Memorial is a large public area that has a walking path leading you along a small part of where the Berlin Wall stood. The memorial has different learning stations that tell the moving stories of families separated by the Wall, tragic and successful escape attempts, and the details of when and how the Berlin Wall came to be. Remnants of the Wall can still be seen and even touched. The Berlin Wall Memorial experience culminates at the Berlin Wall Documentation Center, a monumental building that has multiple levels and a viewing platform on top to see the remains of the Wall stretching down Bernauer Straße. 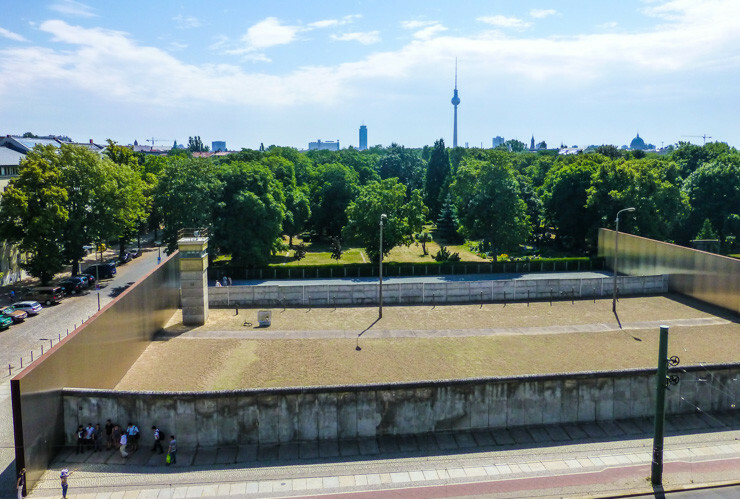 In the Berlin Wall Documentation Center, you’ll tour multiple levels of the structure, one of which has a museum which details out what it was like to live in East Berlin during the time of the Berlin Wall. 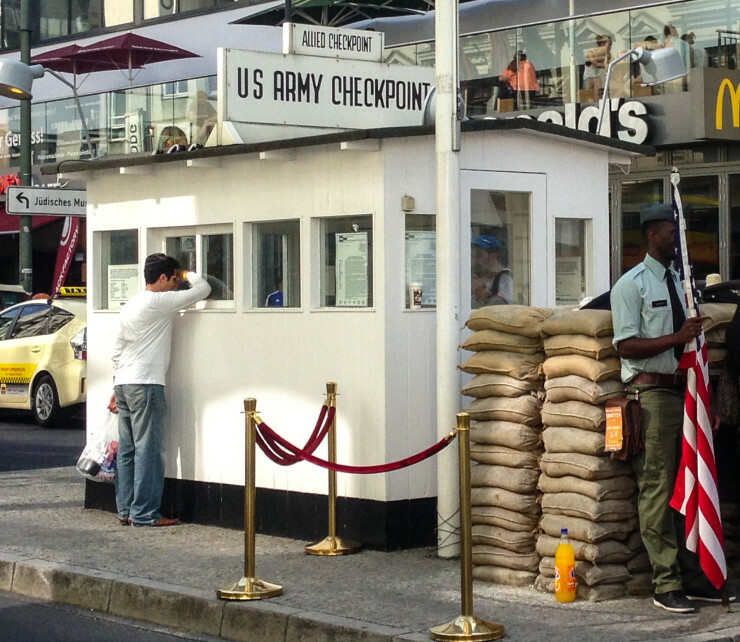 Why It’s a Must-See: Because you can’t go to Berlin for the first time without spending some time where the Berlin Wall once stood. 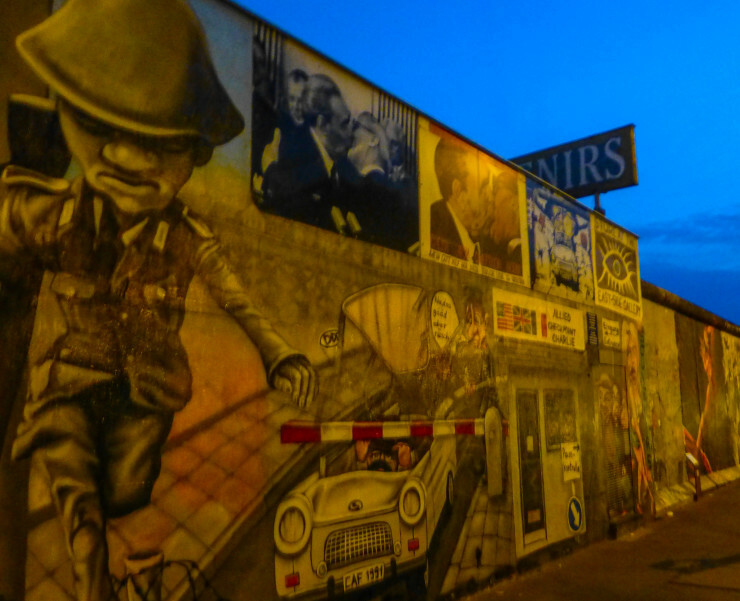 There are Berlin Wall walks you can do that are several miles long to follow the Wall trail, however if you’re short on time, the Berlin Wall Memorial is ideal to visit since it has many learning stations and remnants from the wall close together. A secure purse or daypack that crosses your body and which you can keep in front of you (no backpacks) — Pickpocketing is pretty prevalent in Berlin, unfortunately. This is a must if in Berlin in summer. Why It’s a Must-See: Probably more of a must-see for American visitors, who will find it interesting to see the site taught about in history classes around the U.S.
A painting on part of the East Side Gallery wall. One of the most photographed parts of the Berlin Wall is the East Side Gallery, a 1,316 meter long portion of the wall that has been prominently painted by artists from around the world. It is the longest open air gallery in the world and features paintings that have become famous images in pop culture. Why It’s a Must-See: Some of the images painted on the wall are iconic and it’s neat to see with your own eyes a work of art that transformed something that was once horrendous into a special and beloved memorial. 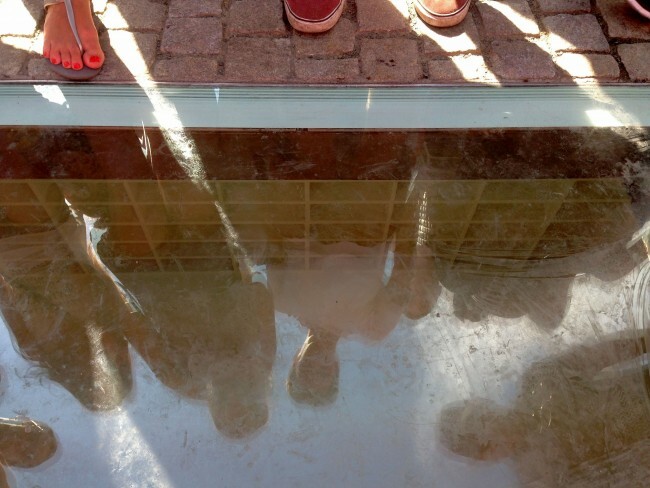 Bebelplabtz Book Burning Memorial — look closely…what do you see below the clear floor? Within Bebelplatz Square is a memorial to the Nazi book burning of 1933 when the Nazis gathered all Jewish books they could find and burned them in the middle of the square. This monument is so unique that it’s easy to miss even if you’re standing right in the square. Near the middle of the square is a glass section that peers through to the memorial beneath the ground. Look closely within this artistic monument and you’ll see rows and rows of empty bookshelves – enough for 20,000 books. This is considered a voided monument; the books burned that night can’t be replaced but the void by them can be. The memorial is lit 24 hours a day. Why It’s a Must-See: Read more about my experience at the Bebelplatz Book Burning Memorial here for why I think it’s such an important and interesting landmark to visit. The Berliner Dom (or Berlin Cathedral) is a magnificent domed cathedral in Berlin that dates back to 1415. Visitors to Berlin can tour the cathedral as well as visit the adjacent Cathedral Museum. The Cathedral Museum displays information on the history of Berliner Dom as well as the original architectural designs for the cathedral. There are also miniature creations of some of the designs which are a wonder to look at thanks to their extensive level of detail. 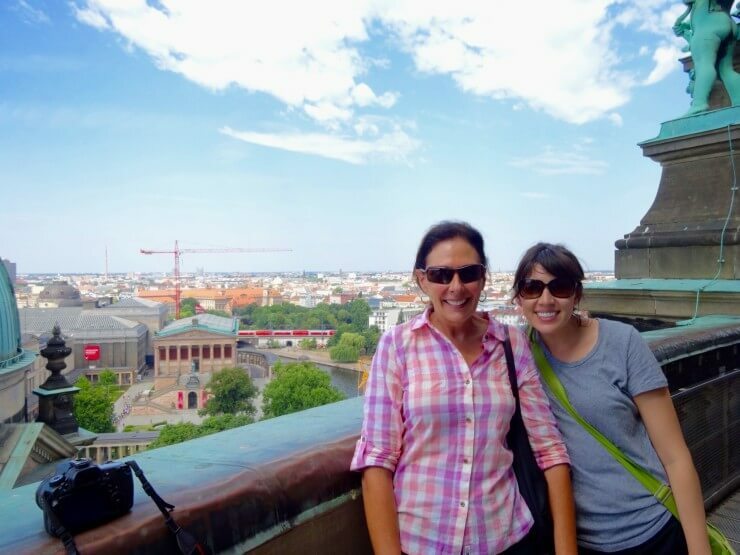 Enjoying the view atop Berliner Dom. 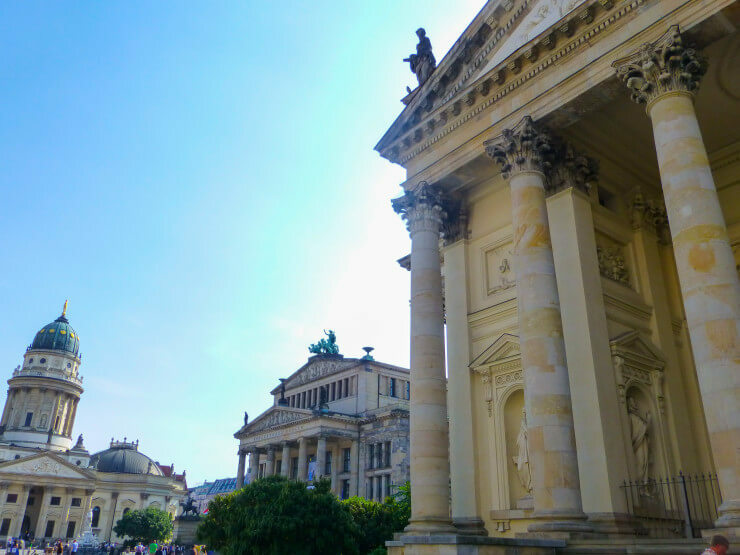 While at the Berliner Dom, you’ll also want to travel down to the dim crypt, where many notable people from Berlin’s past are laid to rest, including members of the Hohenzollern dynasty. 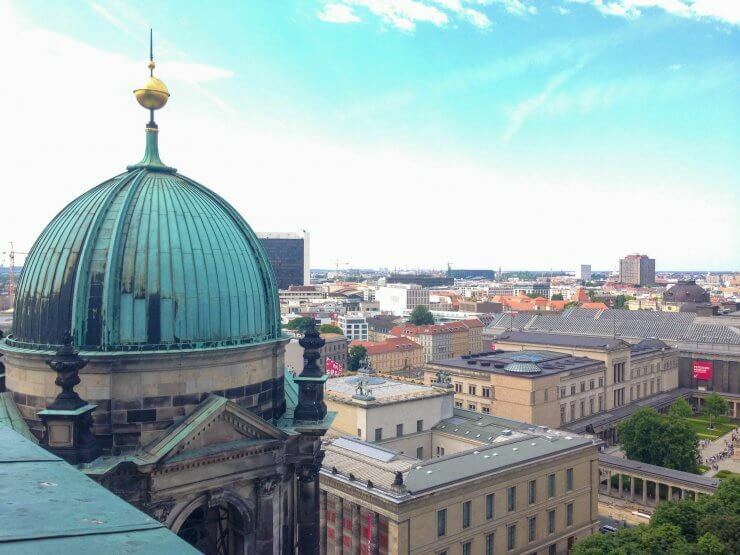 You can also head up to the top of Berliner Dom for a birds-eye view of Berlin from the perimeter of the dome. Just be warned — you’ll need to climb 267 steps to get there. Why It’s a Must-See: Berliner Dom is Berlin’s largest church and an impressive example of high-renaissance Baroque style. The Reichstag building is the seat of the German parliament – the German Bundestag – and has been the place of many important moments in German’s history. The Reichstag was originally built in 1894 and was an constructional feat due to its steel and glass dome. In 1933, a fire was set to the Reichstag, greatly damaging the dome and building structure. Though the culprit of the fire was never proved, Hitler claimed it was the Communists and the fire gave him great leverage to get support for his rise to power. World War II bombings led to further decimation of the Reichstag. During the 1960s, it was repaired enough to be functional and as it fell just west of the Berlin Wall border, was used by West Germany as a symbolic place to hold parliamentary meetings once a year during the Cold War. After unification, a focus to return the Reichstag building to its former glory began and an extensive remodel of the building occurred, resulting in the now iconic glass dome structure. Why It’s a Must See: There is so much history in this building and it also has an interesting architecture style. In addition, visitors can take an elevator lift to the top of the Reichstag’s dome for excellent views of nearby Tiergarten and Berlin’s cityscape. Museum Island, a UNESCO World Heritage Site. 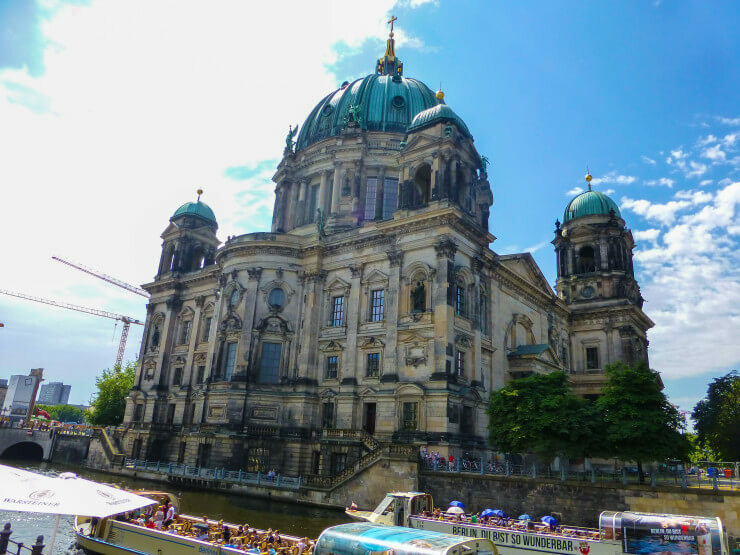 If you love museums, you may also want to visit Museum Island, though you’ll likely have to substitute one of the above sites in order to have time to do so if you can only spend one day in Berlin. Museum Island is an area of Berlin that is home to five of the city’s most prominent museums. The architectural achievement of the buildings and the amount of history located inside their walls has made Museum Island a UNESCO World Heritage site in and of itself. To learn more about the five museums and Museum Island’s artistic green space, visit Museumsinsel Berlin website. Budget-conscious travelers who still want comfort and a few luxuries should check out centrally located Cosmo Hotel, which is right across the street from a metro station, making it easy to get to all the top sites. Click here for pictures and rates for Cosmo Hotel. Those looking for a full luxury hotel experience will enjoy resting their head in one of the sumptuous rooms at Hotel Adlon, which is located in a beautiful cafe-filled square right next to Brandenburg Gate. Click here for pictures and rates for Hotel Adlon. Or search for Berlin hotels using one of my favorite accommodation booking sites for Europe: Booking.com. 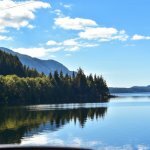 It’s super easy to use and compare room rates, lists the lowest pricing, and you can book now and not pay until you arrive for most rooms. When it comes to eating in Berlin, you have a wide range of options. Try cheap eats like currywurst from a local stand or check out one of Berlin’s excellent restaurants. For traditional German cuisine, head to Zur Letzten Instanz, which is also the oldest restaurant in Berlin. For gourmet cuisine with some innovative modern twists, make a reservation at Sage, which also has an onsite outdoor bar located next to the river perfect for an after dinner drink. Don’t forget to download my helpful Berlin Transportation Cheat Sheet! P.S. You also may enjoy reading One Day in Munich, the East Side Gallery in Berlin via Taxi, and A House Destroyed by the Berlin Wall. 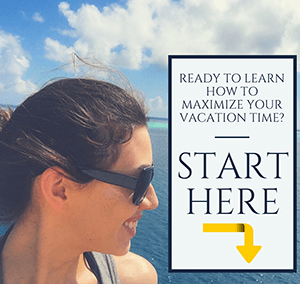 Hope this One Day in Berlin guide helps you plan your trip! Have a question or additional tip for Berlin? Leave it in the comments below! 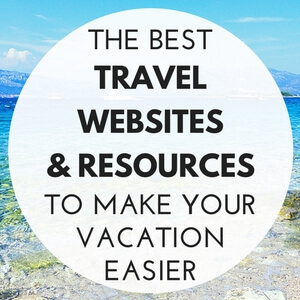 Want more travel tips? 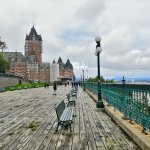 Follow One Day in a City on Facebook or Instagram.